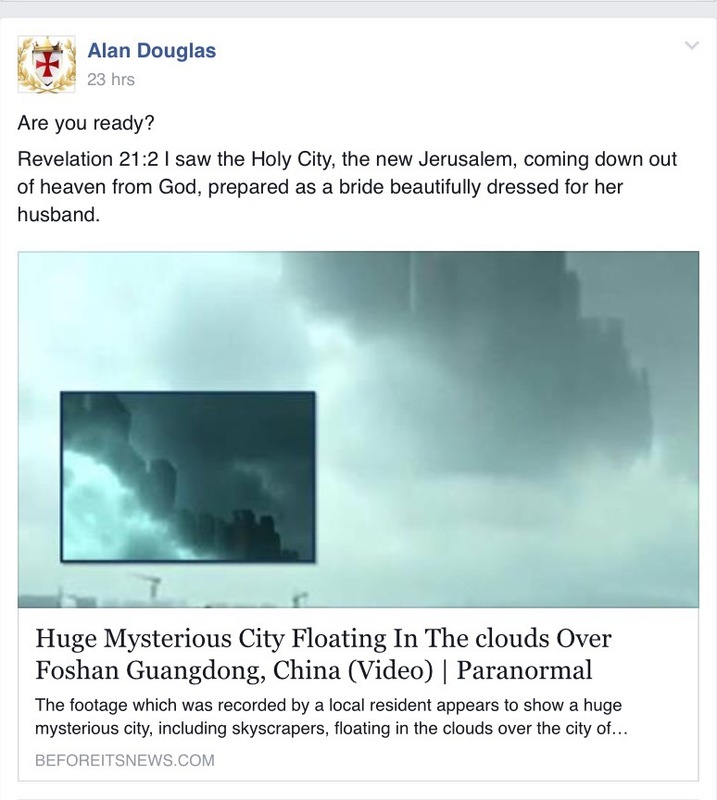 According to False Prophet Exposed Raymond Lear (Lord RayEL) posing as online guru ‘Imperial Regent’ Alan Douglas known also as Angelus Domini, the recent video of the ‘cloud city’ posted on the Beforeitsnews website is proof that ‘Lord RayEL is here’. 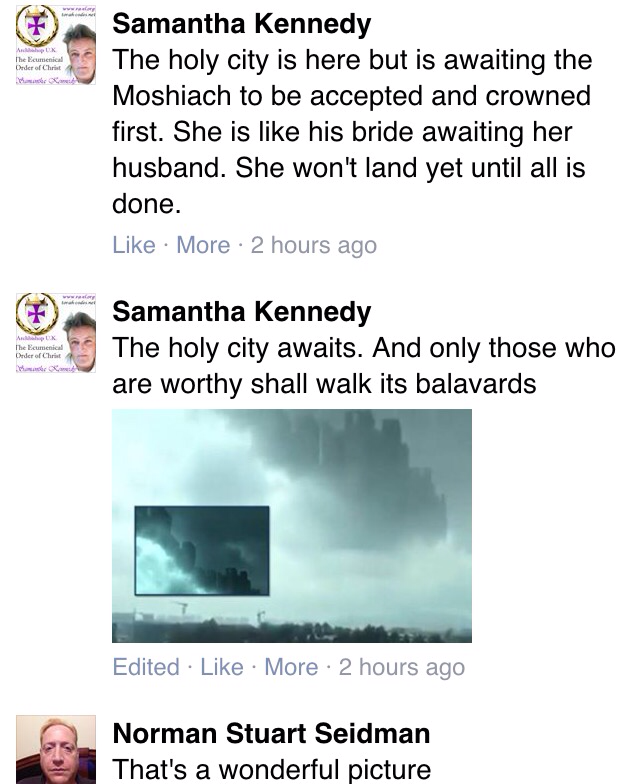 Okay, it is ‘make believe time’ again in the Facebook International Congregation of Lord RayEL. This time, lets pretend that that these latest mirages in the sky are actually Annunaki Motherships. This is exactly the type of post that takes advantage of peoples naivety, yet by applying some commonsense measures, you can easily identify that this is truly nonsense. Alan Douglas is referring to the past sighting in Nigeria of March 2011. Several UFO websites have revisited this strange case and according to residents of the small border village of Dulali in Lanzai South Ward, Darazo Local Government Area of Bauchi state, in March of 2011, practically the entire village consisting of a few hundred people saw a bright light in the sky immediately after morning prayer at the local mosque. Soon after, they saw a massive “flying city” or “floating city” descend. The point being is that these sightings are not unique, whether they are in fact ‘mother ships’ is pure fantasy. 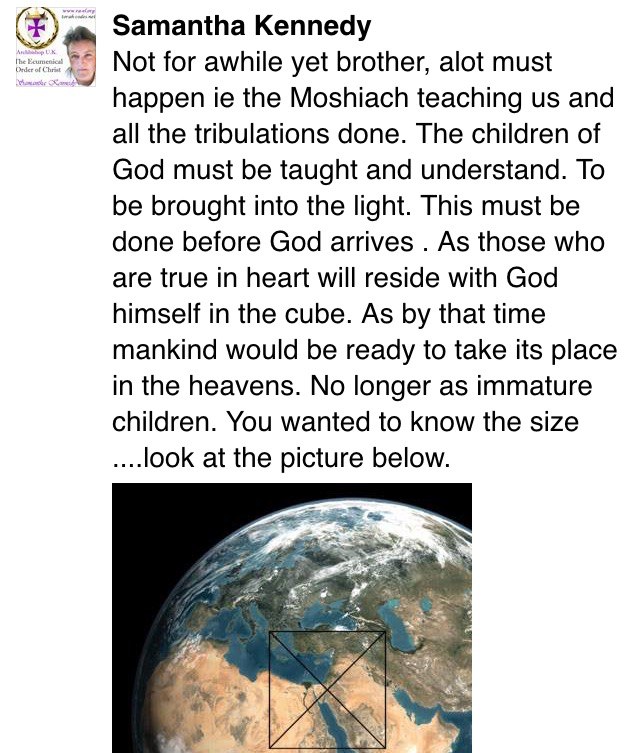 It should be noted that * Lord RayEl announced “The Armies of Heaven are fast approaching” in his May 21, 2011 address, where he stated that “They were still about 6 months away, traveling toward Earth at high speed”. This was four years ago. Got to be the slowest Army on record. 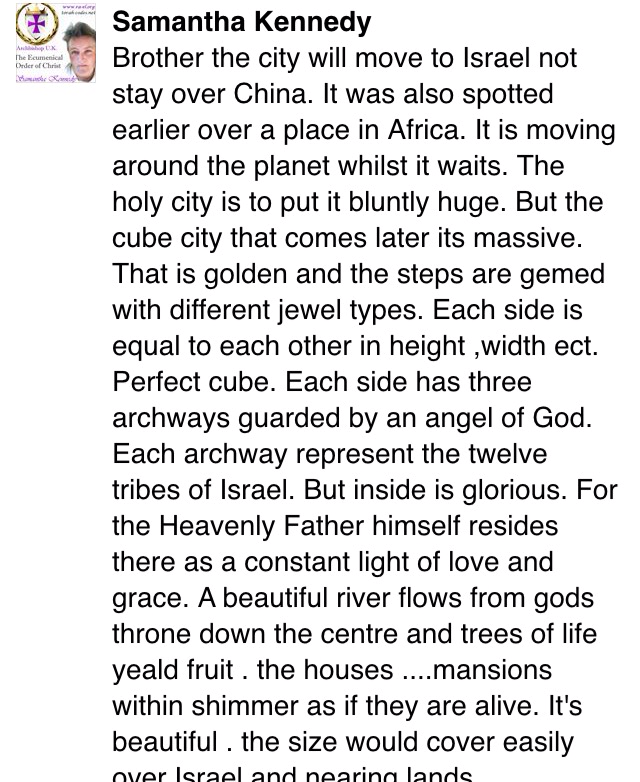 That the Holy City has appeared. FACT this latest sighting was witnessed by one hundred people but only ONE recording (which is less than a minute in footage IS EVIDENCE). However, reports state that this phenomenon lasted about five minutes. 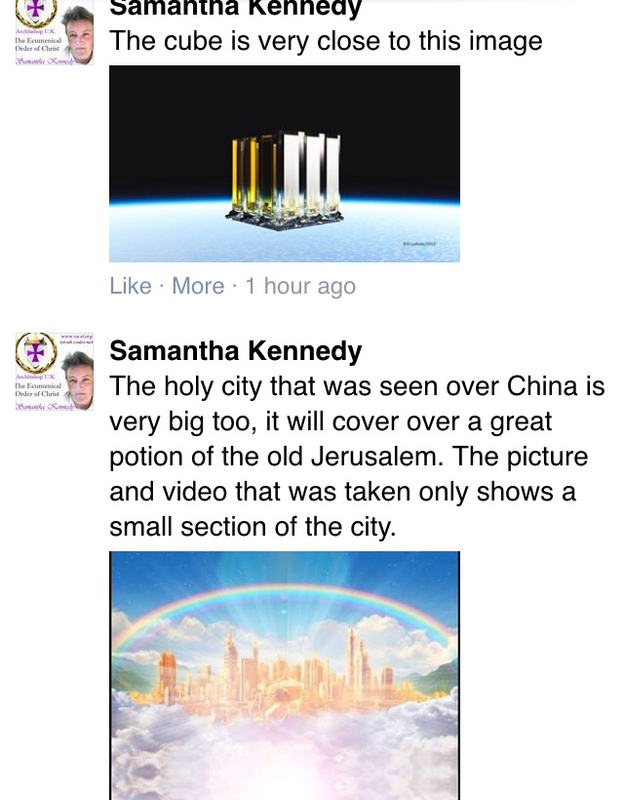 How can this be evidence of the Returned Christ and his Annunaki Ships? Furthermore, interestingly if you look back at the historical record to see whether this type of phenomenon has occurred before – it is rather obvious that this is not a UNIQUE case. 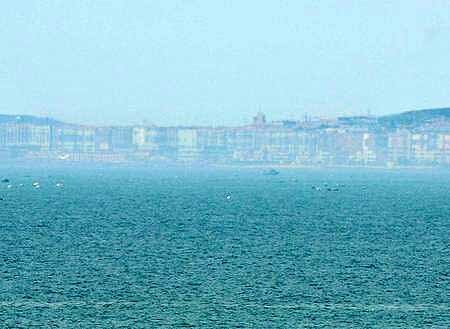 A mirage is usually defined in terms of an atmospheric distortion and an optical illusion. Light from an object may be bent (refracted) or reflected by air, and the mind of the beholder is liable to see something which is not what it appears to be. For example, a thirsty traveller in the desert may be looking at the sky reflected on a layer of hot air over the sand. The mind, however, sees instead a pool of water and may even add to the imagined scene the palm trees of a surrounding oasis. This has little to do with the Fairy tale spun by Angelus Domini that these cities in the skies are Annunaki ships, or the new Jerusalem. What I find intriguing is that such accounts of extraordinary mirages take on forms which are recognisable, they are seen on repeated occasions, and sometimes a panorama of images and events are observed. Not only have phantom cities been seen in the skies, but also armies and ships, described in detail. Such phenomena may have less to do with atmospheric conditions than with displays of a ghostly nature on a vaster scale.